Last week my boss, Lawrence Haddad, asked me to write a guest blog for Development Horizons. He had read Richard Dowden’s piece in Prospect magazine, and wanted to know my views. The blog I wrote, subsequently picked up by African Arguments, All Africa, the Zimbabwe Mirror and various other websites, is below. Making friends in London: is a new rapprochement on Zimbabwe occurring? Recently, the ‘Friends of Zimbabwe’ group of western donors met in London, together with representatives of all of Zimbabwe’s main political parties. The ‘Friends’ group – formerly known as the ‘Fishmongers’ after an expensive restaurant in Harare – is a grouping aimed at the discussion of international donor policy on Zimbabwe, including sanctions. While all the western donors are represented, its positions are firmly influenced by the EU and the US, and perhaps especially by the UK. London was therefore a fitting destination for the latest meeting. The final communiqué was the usual non-committal diplomatic statement, indicating continuing commitment to Zimbabwe, and recording the actually substantial aid flows that are being offered. But the departure for this meeting was the presence of senior ZANU-PF officials whose travel bans had been removed following the successful Constitutional referendum. Justice minister, Patrick Chinamasa, was among the delegation, and he got a roasting on BBC’s Hard Talk, as he tried to defend the government position on a variety of policies. However, there were also other more civil exchanges, including one at Chatham House when senior officials from all parties, commented on the current situation with a clear tone of compromise and conciliation. 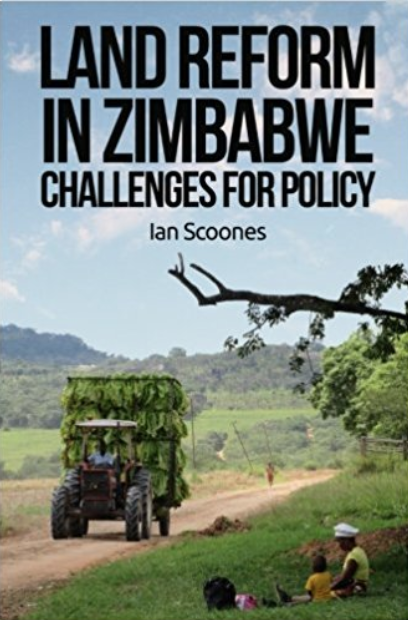 The political context in Zimbabwe remains highly uncertain, but there are unexpected shifts – partly as a result of the relative success of the ‘unity’ government, and partly as a result of failures in the opposition, both to offer a convincing alternative and to develop a clear set of alliances. 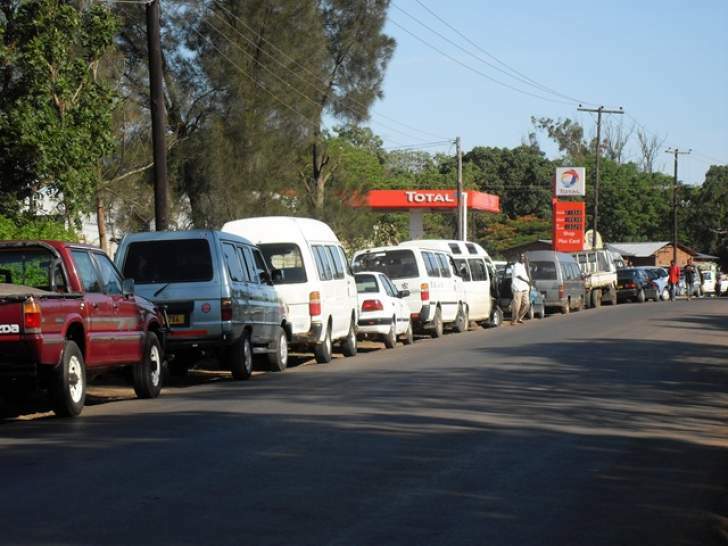 Simukai Tinhu offered a useful overview in a recent African Arguments piece. Phillan Zamchiya in a very detailed Crisis in Zimbabwe report reckons ZANU-PF is gearing up to win the election by stealth, stealing votes and fixing the results through a number of tactics. These are well worn tricks of course, but there may be wider political shifts underway too. However, simply blaming a poor result for the MDC on foul play may not be enough. For this reason many see another coalition as an inevitable result, with the big questions being who will occupy the presidency and what the balance of power will be in parliament. “Judging by the Minister´s tone and the way he addressed some of the key issues, it is our opinion that the gap between ZANU PF and the MDC(T) on key issues appears to be narrowing. Similarly, the Minister was quite diplomatic in trying to demystify the myth that the MDC and pro-democracy civil society organisations are synonymous and are working together towards the so-called regime change agenda. He obviously did not want to alienate pro-democracy civil society organisations which traditionally helped the MDC in its formative years. However by expanding the definition of civil society organisations beyond the usual narrow definition and stating that there is an operational civil society in Zimbabwe, the Minister sought to, in our view; keep a healthy distance between the MDC as a political party and other pro-democracy groups. This, it appears, was his counterpoint, against the ZANU PF argument that all pro-democracy forces are bent on a western-sponsored regime change agenda. The view that points to a political convergence is supported by the plea the Minister had made to the USA and the IMF that Zimbabwe ought to be treated equally according to the same measure that has been used on countries with troubled pasts such as Burma. By saying this, he echoed his strong views for the lifting of sanctions by the European Union in July 2013. On the issue of indigenisation, the Minister again struck a note which doesn´t quite resonate with some of the sentiments from the Western countries. It would appear that behind closed doors, both the MDC and moderate ZANU PF Ministers agree on key issues than they disagree in public. That´s how politics work. The current widely held view that President Mugabe hasn´t softened on his legacy ignores anecdotal evidence that indicate that lately he has been softening his clenched fist, so to speak. An example is his calls for peace, which has widely been dismissed by most people as rhetoric which doesn´t match what is happening on the ground. However anecdotal evidence from various sources including Zimbabwean equivalent of Wikileaks appear to suggest that the President´s attempts to soften are negated by some within his party who fear what might happen if ZANU PF softens on its legacy inspired by its liberation war credentials. Although the Minister spoke about the current issues of concern, he was very measured in his approach. He exhibited every sign of a principled man, who, despite having undergone the vagaries of his difficult job and the incarceration he underwent in 2008, has matured, forgiven his persecutors and might even have undergone a paradigm shift. This shift, which is also reflected in the entire MDC, has seen it move from its widely perceived Eurocentric roots to the moderate pan-African approach. It also appears that there are some within ZANU PF who have softened on their legacy by moving to the centre ground although there are still some still on the far right. Those on the far right are in our view, the ones the Minister referred to when he said there are Ministers within the government who make irrational political statements that affect the economy”. The consensus may be surprising to some who have been viewing Zimbabwe’s tortured process of transition from afar. There may be much more consensus on thorny issues of land reform, national ownership of key businesses and the role of civil society than is commonly understood. Clearly the consensus is not universal and the more progressive elements across all the parties may be out-manoeuvred by those with other agendas, whether the military elite, fearing post-election reprisals, or white capital, seeking a reassertion of power. As Biti, a clear presidential contender in the (maybe not so far off) future, tentatively repositions the MDC, it may not just be the traditional western ‘friends’ of Zimbabwe, but others including China, Brazil and South Africa, who become the important brokers into the future. On March 16th, Zimbabweans voted on a new Constitution in a national referendum. The voting was largely peaceful, and the turnout higher than expected, with over 3 million people voting. With all major parties supporting it, the result was a resounding 93% ‘yes’. This endorsement paves the way for elections in the coming months. It is also an important signal that a new commitment to moving forward has been reached, one that international donors have agreed to respect with the removal of further ‘sanctions’. The Constitution is naturally a compromise document, one hammered out in parliament by all the parties. It involved wide consultation, with inputs from the public. Given Zimbabwe’s immediate political past, it is in many respects a remarkable achievement. It is of course rough at the edges, and not everyone agrees with every section, but it now does exist, and should, in my view, by celebrated. Of course one of the controversial areas has been the issue of land (see earlier blog). Some are very unhappy about the provisions, blaming the MDC in particular for conceding too much. Ben Freeth, the former farmer activist, is particularly outspoken. In a slightly more considered contribution, Dale Dore asks, can the new Constitution bring about a just, legal and transparent land policy? He answers, “The prospects, unfortunately, look decidedly bleak. Chapter 16 entrenches the outcome of land invasions and the seizures of farms and property. The draft Constitution also retains provisions under section 72 that are inimical to international law, human rights and the rule of law”. While Section 297(6)” tries to give the impression of independence and impartiality”, he argues that this is not sufficient. This he worries will mean that a Land Audit, also a requirement in the Constitution, will not be fair, as it will be overseen by the Commission. Overall he argues, that the section on land – Chapter 16 – “maintains all the discriminatory provisions governing farmland found in the current Constitution”. He argues that there will be inadequate notice of compulsory acquisition and that compensation will be paid for improvements only, and not the full value of the land. He objects to the proposed dispute settlement mechanism, arguing runs against basic principles of ‘rule of law’, being an administrative not judiciary process. He argues that, as a result, the Constitution is not in line with earlier rulings by the now disbanded SADC Tribunal ruling. Yet, as I and others have commented before, this obsession with this particular ruling forgets that the proposed constitutional provisions are actually in line with much international practice, and perfectly compatible with ‘the rule of law’, as long as the rules and regulations are abided by. This of course is the critical point. The test will be in the practice, and the demonstrated impartiality and effectiveness of systems of land acquisition, compensation and dispute settlement. Given recent experience, Dore and others are right to be concerned, but have no real argument for rejecting the provisions as a whole. “Well I think the first thing to point out is that this constitution was a central part of the mediation process. It was always therefore going to be a compromise document and part of a broader process of trying to establish the conditions for a free and fair election – which was the original objective of the SADC mediation. There’s clearly things in the constitution which are problematic; there’s also things which I think establish a very good basis for moving forward and I think that as part of a long term process of discussion between the parties which was established through the mediation, it’s a step forward and one should look at it as that”. “This land process has produced many contradictory results. As recent research shows, it hasn’t been the complete failure people thought it was but at the same time it hasn’t ended the land question. It’s raised a whole series of new issues, which are going to confront Zimbabweans throughout – for the coming decades. So this issue hasn’t been resolved and there are harder questions ahead”. Of course the land question is not going to be fully resolved by the Constitution. But hopefully the Constitution sets the basic parameters: the land reform is not reversible; rights to land are circumscribed by the state to avoid abuse; compensation for improvements are offered if land is acquired by the state; land administration and distribution is overseen by a competent authority in the Land Commission; and abuses are corrected through a transparent Land Audit. All of these provisions are actually good ones, and compatible with international practices, but will only work if the appropriate political and administrative conditions apply. Given recent experience, this is of course a concern, and why a wider political resolution of the on-going political impasse in Zimbabwe is so urgently needed. However, given that it has now been approved by the referendum, and given that the Constitution represents an important moment in the mediation process to create such political conditions, surely its basic principles need now to be respected. Sure, there will be need for working out the details of the Commission, the Audit and the associated regulations to govern any land administration processes, but the overarching basis for these, surely, is now set. Or is it? Dale Dore refers to a discussion with a ‘senior MDC politician’ who noted that: “The MDC had to make compromises. If it conceded to ZANU(PF) on the land issue, he said, “so what?” Anyway, he added, land is not a major issue for the great majority. The issue of land and land policy was something the MDC could fix once in power”. This seems more like a threat to unravel things that have been agreed, even as reluctant compromises. In an email exchange on Dore’s piece as part of probably the most bizarre email list I am copied in to, Eddie Cross MP, the MDC’s Policy Coordinator General (who supported a yes vote with 10 reasons), commented on 10 March, “Excellent as usual – but so long as everyone understands that this was the main focus of concession to the views of Zanu PF in the negotiation and was a compromise – it is not the final word on the issue of agricultural land”. Yes the Constitution is a compromise. Yes it emerged through negotiation between parties that did not agree. And, yes, it is not the final word. As Brian Raftopolous pointed out in the SW Africa Radio discussion, “there are still a lot of issues around the land [issue] which wouldn’t necessarily be dealt with simply through the constitution – issues which will have to be dealt with through legislation coming afterwards and through political and technical processes that need to take place in the aftermath of what has happened”. But does this mean that the basic tenets of the Constitution should be dismissed? Technical and administrative details will be required of course, but should a party go into an election essentially saying that key sections are up for grabs? What if ZANU-PF said the same? There would, quite appropriately, be uproar. Equally, for the resumption of international development assistance to be conditional on changes to the now approved Constitution, as Dale Dore seems to suggest, would be madness. The new Constitution, with its inevitable flaws, now at last provides the basis for moving forward: hopefully towards the removal of sanctions and free and fair elections in a few months time. This is by no means assured, and the unlawful arrests of MDC officials and their lawyer, Beatrice Mtetwa, does not bode well, with a return to ‘brute power’ suggested by some. But equally we cannot succumb to fatalism, a trait so common among the commentariat. Let us also hope that after the elections, the parties respect the Constitution and the painful, slow, but ultimately successful, process of creating it, with all its difficult compromises, was not in vain. A process of healing, compromise and looking to the future is what all Zimbabweans need above all. If any party comes into power and rips up sections of the Constitution they don’t like, is this a good result? For this reason, I, for one, would favour another coalition government; one that, this time, is genuinely committed to national unity and development, so the spirit of compromise with all its awkwardness and faults, embedded in the Constitution provides the basis for a brighter future. Aid to Zimbabwe: time for a rethink? In a recent article in the Guardian, Alex Duval Smith argues that aid to Zimbabwe must support resettled farmers on so-called ‘contested areas’. These are the 8m or more hectares taken over as part of the ‘fast-track’ land reform programme from 2000. Around 180,000 households, about a million people live in these areas, yet aid – development and humanitarian – is not offering support despite the clear needs and challenges. Many argue that the UK government and others should boycott such areas, as they are under dispute – sometimes with legal cases in Europe and elsewhere. The Zimbabwe Vigil group, based in the UK, is vehement that sanctions should be retained. The EU argues that the ‘targetted measures’ (notionally focused on individuals, but actually much broader in effect) should be sustained until free and fair elections have been held. But it has been 12 years since the land invasions and the challenges are very real – whether in the area of agricultural production, social services, health and education. Alex Duval Smith is absolutely correct to argue that Zimbabwe is missing out on the benefits of land reform by failing to invest in the ‘fast track’ resettlement areas. For sure some areas are not being fully utilised, but our decade-long research study in Masvingo province showed how, particularly in the A1 schemes, most new farmers are producing, selling, investing and accumulating. Most new farmers in these areas are not ‘cronies’, linked to the ZANU-PF elite, but ordinary farmers formerly from nearby communal areas or towns. But equally, as Alex Duval Smith correctly points out, such farmers cannot do everything by themselves. They need support – from government, as well as donors. Their predecessors, the white farmers who occupied the land from the colonial period, received massive support over many decades, and new farmers need this too if the restructured agrarian economy is to thrive. Investment in schools, roads, irrigation, extension services, markets and so on are all essential. Of course the situation across the country varies enormously, as the array of studies now available shows, and thus it will be necessary to tailor support accordingly. But 12 years since the land reform, it must be time to reconsider the aid boycotts and ‘sanctions’. These provide political succour to elements of ZANU-PF, and all sides concur they do more harm than good. Everyone agrees that land reform in Zimbabwe was necessary and, although the manner in which it happened resulted in unnecessary violence, disruption and loss, today Zimbabwe, and its development partners, must look to the future, accepting the need for some compensation for those who lost out, but also supporting the new farmers. A more informed debate about Zimbabwe’s land reform is urgently needed, and this article is an important and timely contribution. A rethink of ‘sanctions’ is clearly needed. Unfortunately the UK continues to sit on the fence. According to recent reports, the UK High Commissioner, Deborah Bronnert indicated that the UK government had no intention of changing their tune on land reform. “At some point I think we are likely to…support a future settlement but I think we are a long way from it and it will require quite a big political shift and a political settlement here for that to be taken forward,” she said. Farm families on the new resettlements may have a long wait for education and other services.